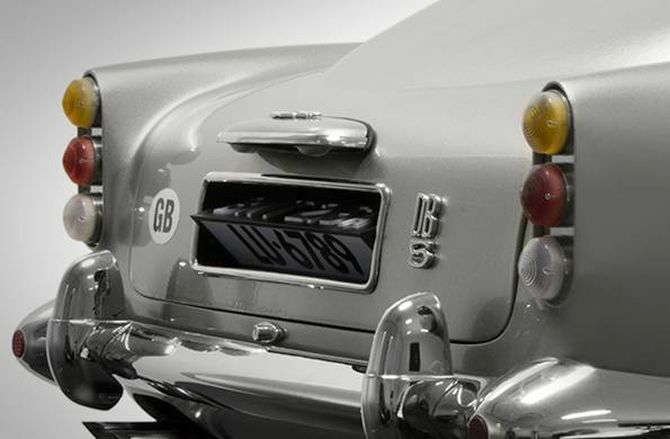 Showcasing perfect combination of digital and traditional model making artisanship, the Aston Martin DB5 1/3 scale model is designed to reproduce the level of attention lavished on Aston Martins original DB5, customized by Q branch for 007. To make it an exact replica of the original 1964 car, the body’s shape and recognizable visuals are mirrored perfectly with the help of a 3D printer. The interior features are also replicated by using the same material as used in the original Aston Martin DB5. Measuring 1.52-metres long, 66 centimeters wide and 60cm high, the Aston Martin DB5 1/3 scale model comes with functional gadgets from the Goldfinger movie. The gadgets include remote controlled model machine guns, revolving number plates, pop-up bullet proof shield and gear stick with ejector button. The model is displayed on a rolling road in a purpose built case which is exclusively designed by Globe-Trotter. The case comes with a documentary showing how Propshop built the replica and also includes a remote control and silver key to operate the model. 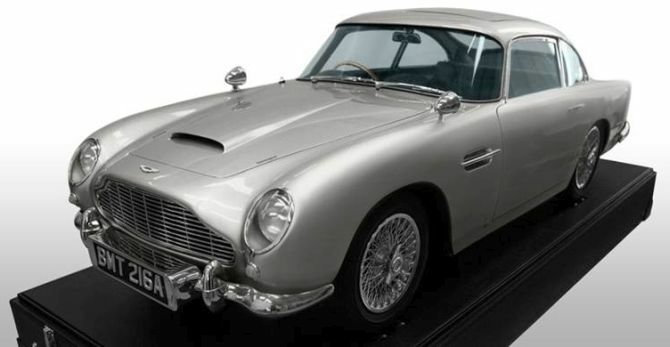 Besides that, the Aston Martin DB5 1/3 scale model case will come with a certificate of provenance signed by Aston Martin, EON Productions and Propshop. A limited edition Aston 1/3 scale model hardback brochure and a Skyfall DVD will also be offered. All this can be yours for a massive price of £28,000($43,000).